Luxury Fashion Car has always been the aim to assist the customer with a rental of luxury cars of a high standard and affordable price throughout Europe, providing the best solutions to fully satisfy all the requirements. The wide range of skills, combine with a dynamic and flexible operating structure allows us to offer exclusive services in line with the demands of the sector. Using the on line form by filling in all the fields for rent in few passages simple and safe an exclusive luxury car. The luxury car rental service covers all major cities in Europe for short period or long one in self-drive modality or with driver, in based on request. 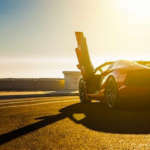 The large fleet of cars include extraordinary models of prestigious sport car, convertible, Suv 4X4, from the prestigious international brands, like Ferrari, Mercedes, Porsche, Aston Martin, Rolls Royce, just to named these one, and all in good conditions to help you during your experience of driving. The costumer have possibilities to use hour assistance 24 hour on 24, 7 days of 7, active and to be beside him for all the time of the contract of the rent from the delivery till at the drop off. Professionalism and courtesy is considered to be the best card in our company that is to be considered the most important thing of the competence in the system of our team. What we are doing in our company is not just a rental service of cars, but we also think to give to our costumers and extraordinary emotions during the driving of the dream car. If you want to try an unique experience on a board of the luxury car try the rental service of Luxury Fashion Car. Luxury Car hire in all major cities of Europe, hands over anywhere in a short time, choose Luxury Fashion Car and live a riding experience abroad a dream car.